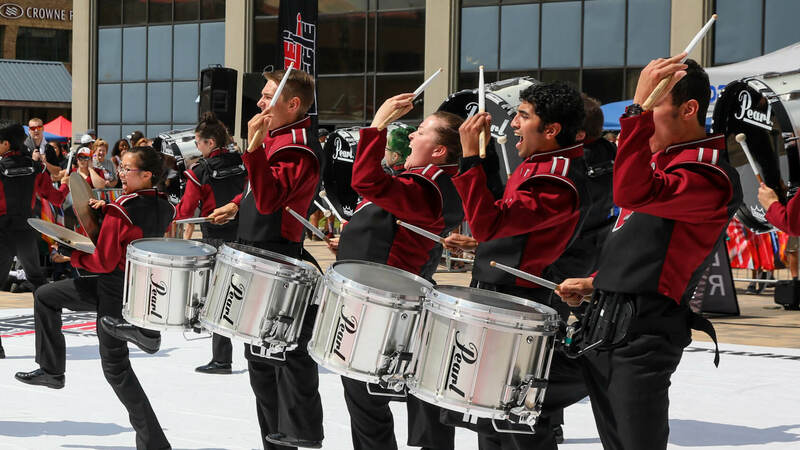 Members of the McMaster Marching Band from Hamilton, Ontario faced off against Windsor, Ontario's Diplomats in this Canadian showdown hosted as part of the DrumLine Battle at the 2017 DCI World Championship Finals in Indianapolis. See all 2017 DrumLine Battle Indianapolis results. Watch more DrumLine Battle videos.